Back-up and disaster recover vendor Carbonite has entered into a definitive agreement to acquire endpoint and network security vendor Webroot in US$618 million. With the acquisition, Carbonite plans to create a leader in endpoint data protection and security. Carbonite believes that by combining its cloud-based data protection solutions and Webroot’s cloud-based machine learning technology will create a next-generation security platform to serve growing customer needs. The acquisition, which is expected to be completed in the first quarter of calendar 2019, is subject to the receipt of regulatory clearance and other customary closing conditions. The acquisition has already been approved by both company's boards and Webroot's stockholders. Carbonite will finance the acquisition – which is its largest to date – with fully committed financing and existing cash on hand. Established in 2005, Carbonite started out serving homes and small business users and now counts on more than 1.5 million customers. Carbonite acquired EVault in 2016, a division of Seagate Technology, which helped Carbonite expand its data protection portfolio to include hybrid backup and disaster recovery services for larger businesses. Through the acquisition of Webroot, Carbonite will be able to further expand and address the endpoint business through cloud-based cybersecurity, paired with cloud-based backup and recovery. 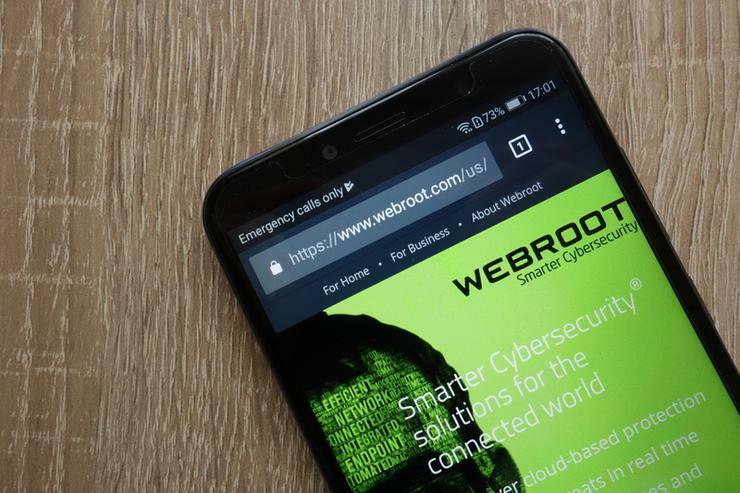 Webroot was founded in 1997 and closed the 2018 fiscal year with revenues of US$215 million. It employs 600 people and has more than 14,000 partners. "The acquisition of Webroot dramatically accelerates our progress towards becoming the leading data protection company," said Mohamad Ali, president and chief executive officer of Carbonite. Further benefits of the acquisition will see Carbonite offer a comprehensive solution. The companies have a "complementary" channel ecosystem, according to Carbonite. Specifically, Webroot’s MSP (managed services provider) partners and remote monitoring and management (RMM) relationships provide Carbonite with a new channel for increased scale and market expansion. "Carbonite and Webroot have a common focus on making data protection and cyber security solutions accessible and easy to use, as well as a dedication to customer success, and we are thrilled to become part of their team,” said Mike Potts, CEO of Webroot. "Together we can deliver tremendous value to our customers and partners."